يقع فندق فاونتن سايد في Hobart CBD, هوبارت, هو خيار شائع بين المسافرين. يقع الفندق على بعد 0 km من مركز المدينة، ويؤمن الوصول إلى أهم مراكز المدينة. يضفي محيط الفندق اللطيف وقربه من المسرح الملكي, مستشفى هوبارت الملكى, كنيسة سكوت سحراً خاصاً على هذا الفندق. إن الخدمات الممتازة وحسن الضيافة العالي في فندق فاونتن سايد تجعل إقامتك تجربة لا تنسى. يمكن الاستمتاع بمجموعة من الخدمات على أعلى المستويات في الفندق كمثل واي فاي مجاني في جميع الغرف, مكتب الاستقبال على مدار الساعة, تخزين الأمتعة, واي فاي في المناطق العامة, صف السيارات. بالإضافة لهذا,تتضمن كل غرف الضيوف مجموعة واسعة من وسائل الراحة . بعض الغرف توفر حتى إغلاق, تلفزيون بشاشة مسطحة, اتصال لاسلكي بالإنترنت, اتصال لاسلكي بشبكة الإنترنت (مجاني), غرف لغير المدخنين لإرضاء أكثر الضيوف تطلباً. يقدم الفندق مجموعة رائعة من الخدمات كمثل حديقة، لجعل إقامتك تجربة لا تنسى. إن فندق فاونتن سايد هو خيارك لخدمة الفنادق الراقية في هوبارت. 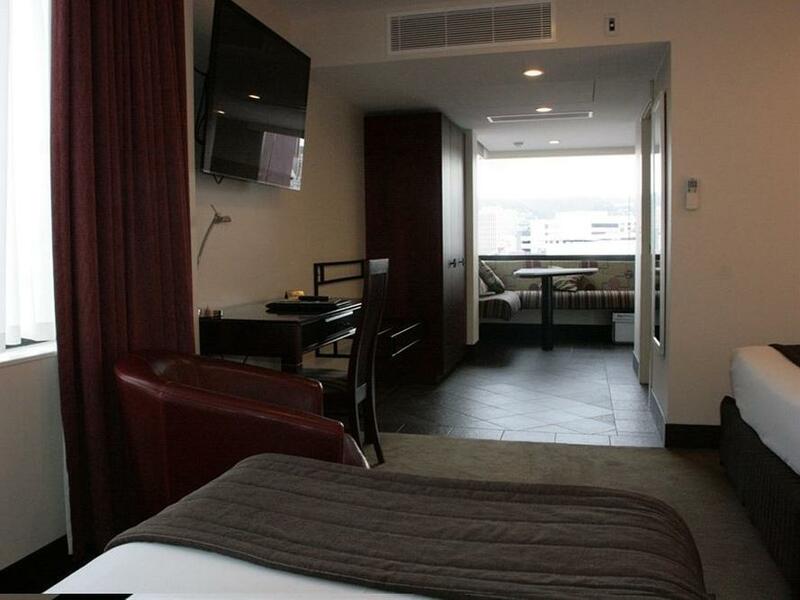 I really enjoyed my stay with its convenience and accessibility to all the key attractions and amenities. 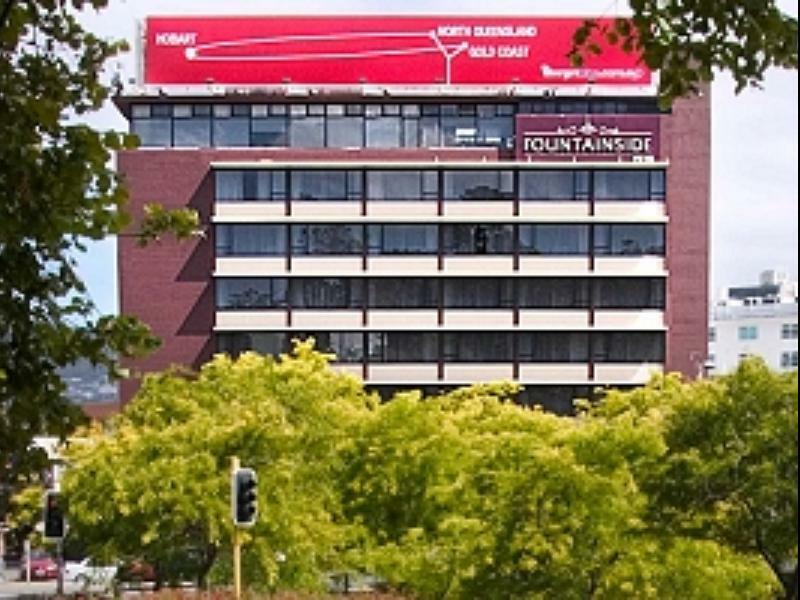 Fountainside Hotel is within walking distance to woolsworth, main shopping district like Cat & Fiddle, cafes and harbour. The rooms are clean and the staff are very friendly too. Highly recommend the hotel for short as well as extended stay. We regularly stay at the Fountain when in Hobart visiting elderly Mum. Have stayed at many other places but always come back to the Fountain. The staff are always super friendly. The location is super - a short walk to the foreshore or uptown. Woolworth & restaurants around and they include parking for FREE! We have stayed here on numerous occassions and will continue to do so. The Staff are always friedly and accomodating. Big rooms and comfortable beds. Traffic noise is not an issue. Very good location within 5 minutes to the waterfront, woolworths and 10 minutes to the shopping precedent. Breakfast is very generous and evening meals are good. We will be back next time in town. Very comfortable hotel with helpful and friendly staff. Its easy to walk to the harbour and other attractions and eateries from the hotel. 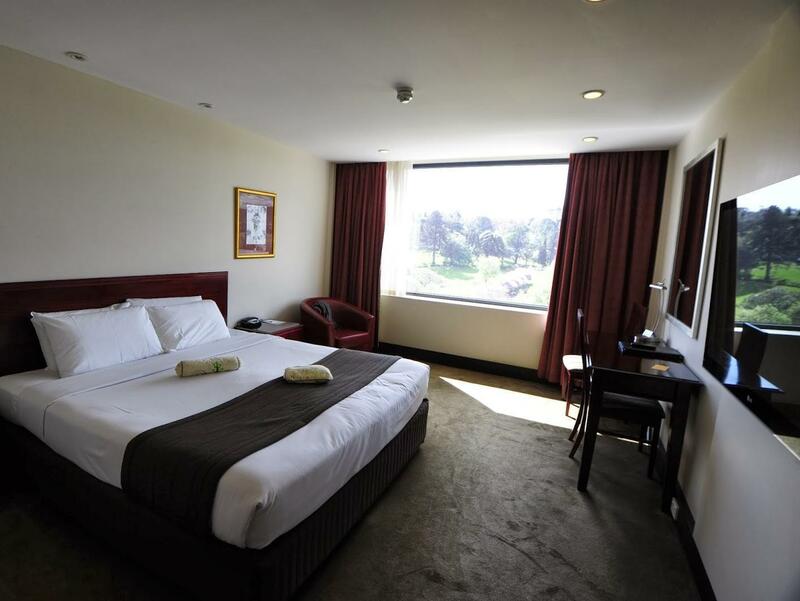 Rooms have all the facilities that you need. Excellent location if you have a car, for access to major roads in and out of Hobart with sufficient parking. We had a good stay here and would recommend it, especially those travelling with a car. My dad loved the dining area with the corner windows that overlooked the city. 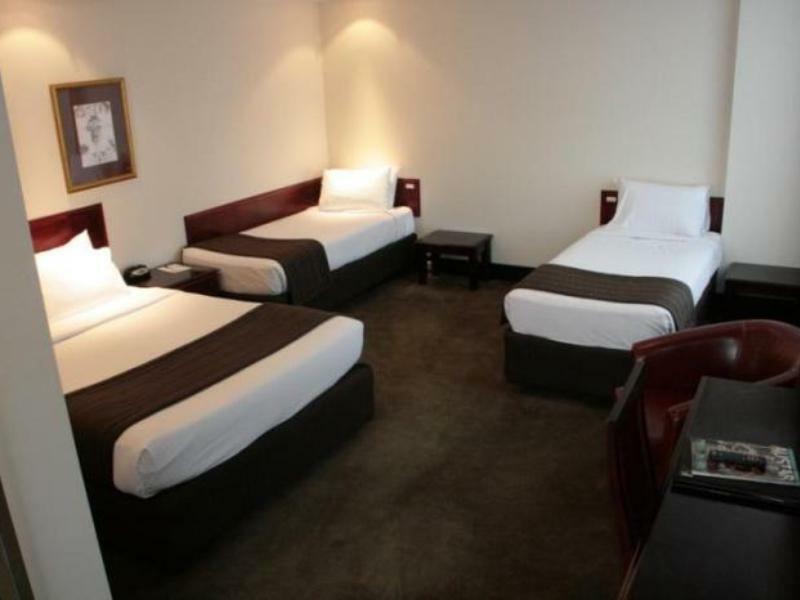 Room is clean and very spacious for 1 double bed and 2 single beds. It was the first time we stayed in a hotel room that also came with a pantry that allowed us to cook light hot meals. It's about a 10 mins walk to the harbour/dock/wharf and to the city which was alright. The receptionists were also very helpful in providing information. Our second visit to this hotel Cannot recommend it too highly .Represents excellent value for money Meals generous and modestly priced Drinks are available at almost cost price. Staff helpful We would not stay anywhere else when visiting Hobart. I am so glad that this hotel met our needs when we first arrived in Hobart. Having a fully equipped kitchen was more than satisfactory. The staff at the reception desk were friendly and helpful. I would recommend for families of 3 or 4 to book at this hotel should they be interested in comfort and convenience. The free wifi is fast although need to login for every use. Good price with free carpark provided by the hotel. Can park the park in hotel and walk to Salamaca market in 10-15 mins. Also a large supermarket and Chinese food in 5- mins walk. The room is not new but in good condition and comfortable. From the exterior, you can tell the hotel is a bit outdated but it has gone through a renovation I believe. The room and toilet are pretty spacious. 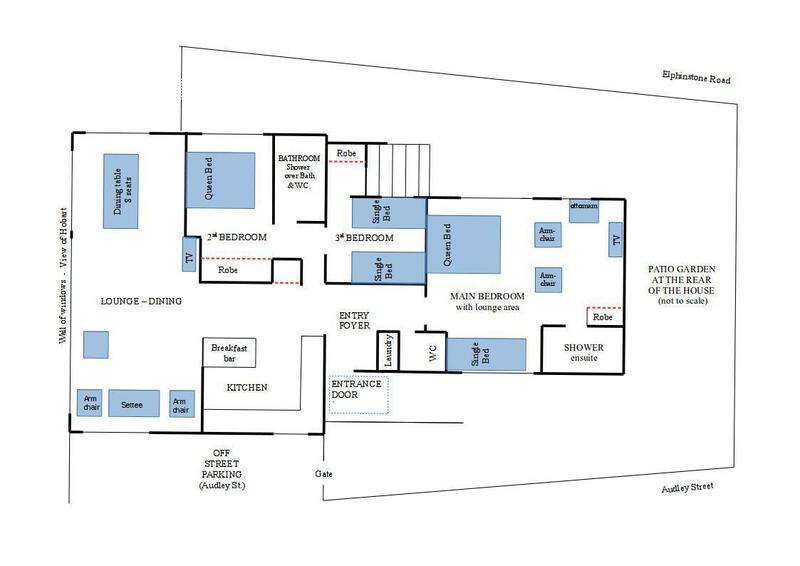 The rooms are located on only one side of the corridor so once you open your door you will be able to see the sunshine and the fountain through glass window. The bed is very comfortable. I had very good sleep during my two-day stay. Clean rooms. Great location. Free parking. The rooms were big and clean. Only issue I have is with the front counter staff who were not friendly. I explained that my dad wasn't feeling well and needed late checkout but staff at counter was unsympathetic and insisted that we vacate the room latest by 11am. Also when we first checked in, we asked if possible to get some luggage stands to place our luggage, the counter staff replied rather curtly that what you see in the room is what you get. What horrible customer service! As I was driving into the hotel located close to a roundabout going into Hobart from the airport I thought to myself "old dilipated crappy coming up". On entry to foyer it was modern and clean and staff, although bust, very helpful. The room (king size bed on 7th floor) on first impression was OK. But after staying in here this was the most thoughfully designed room I have stayed in. Appropriate light switches in all the right places. Well appointed shower and sink with a heated toilet seat. Excellent powerpoint locations and plentiful. The hotel was full for all 3 days I was here but the room was very silent so assume excellent soundproofing. another excellent feature, although I did not partake, was the very reasonably priced minibar and snacks within the room. They were very close to the prices you would pay at a convenience store whcih was unexpected. 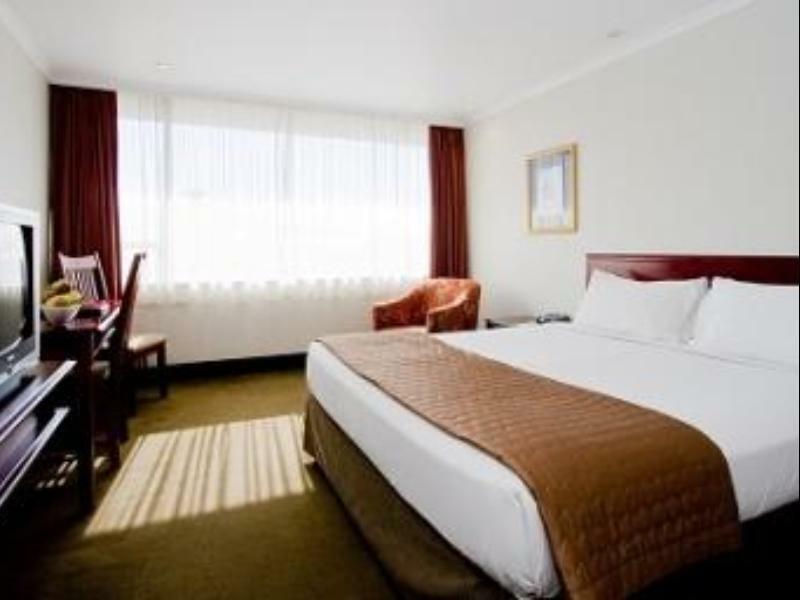 The location, although not as close to Hobart CBD as other hotels was still only a 15 minute walk to the furthest part of the CBD and closer for harbourfront. 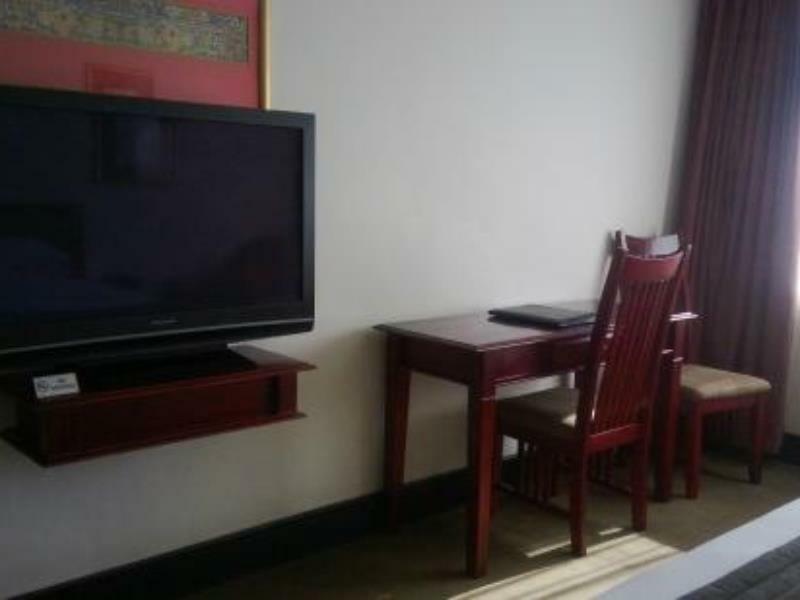 For the proces this is exceptional value for money to stay in a quiet well appointed hotel. THe restaurant was small ut provided value for money meals (would not go out of my way to eat here though). Very pleased with our one night's stay. New and clean rooms, 10 mins walk to Battery Point. Ample Parking space and strong wifi signal. Lost our handphone at carpark and managed to retrieve it back through helpful reception. Well deserved high ratings! We arrived at the hotel quite early and the reception managed to push for a room for us to check in, after a short wait. There was free wifi both in the lobby and in the room which the reception gave the passwords to, for us to kill time while waiting. Carpark is available but limited to parking around the hotel. Had to wait for guests to leave before getting one lot for my car. Room was spacious and comfortable and ours came with a view of the roundabout. Not too bad. There was a step at the front door to the corridor which had to get used to, kept tripping the first few times. Close walking distance to the port and even to Salamanca and Battery point. Recommended! I stayed in this hotel in early July 2014 with my wife and our 2 teenage kids. We love Fountainside Hotel. We stayed in studio apartment which large enough to accommodate 4 people by having 1 queen size bed and 2 single beds. There is also a kitchen with complete kitchen and dining utensils and small dining table. The view from our room is amazing. There are 2 big windows; one looking at the hobart bridge, and another one has a corner window overlooking the harbour and the buildings nearby. From the hotel, max 10 minutes to the harbour. We had a wonderful stay at the Fountainside Hotel, a special mention to Judy on our first night in the hotel restaurant she was "absolutely wonderful". We opened our curtains to a beautiful view of the fountain and mountains of Hobart absolutely extraordinary. Staff were all very lovely. I booked 2 king sized rooms for my husband and myself and for our 19yr old son both were larger than we expected and very comfortable and clean, even my son whose extremely fussy was impressed. Restaurant breakfast and dinner menu highly recommended, we will definitely stay there again. We had a very pleasant stay once again at the Fountainside Hotel.. 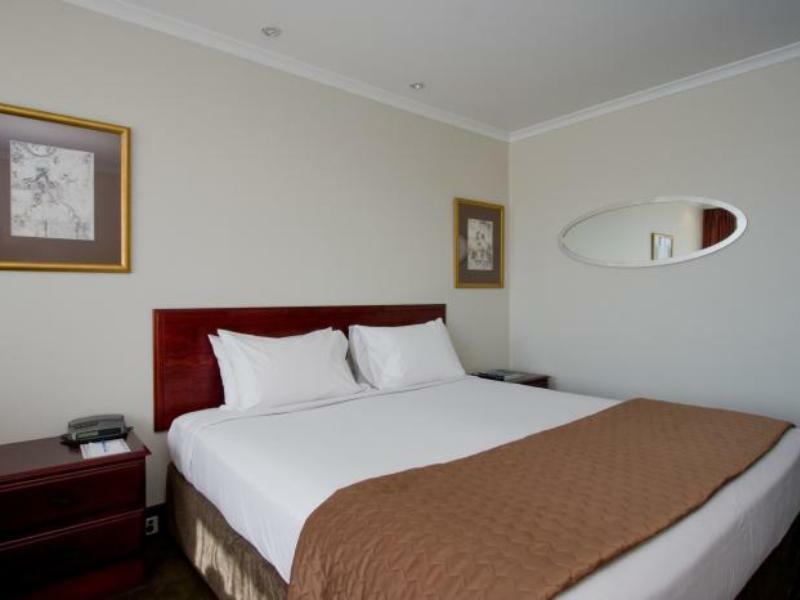 Being a local I can honestly say the rooms are excellent cleaned and the nights are lovely and quiet.. Great location and friendly staff, Will remain to be our regular hotel when ever we chose to stay in Hobart.. Very comfortable King Size bed. The room was very clean.. Unfortunately the Bathroom basin was in bad condition being shattered within the ceramic, making the basin look quite bad. The lower tiles in the shower were badly damaged and black from water damage. An issue which should be resolved immediately to avoid more damages spread towards other locations.. Overall we had a very pleasant stay in a very nice Hotel.. will definitely be returning for another visit as where regulars to Hobart..